Choosing a SEO consultant is like a marriage. You will have good days and you will have bad days but in few days you will settle down and the story is going to be happily ever after. But not all the time. Everybody wants to consult with an Expert. We are those SEO experts in Birmingham who provide you with the market data and advice you on how you can handle that online campaign you rolled out pretty recently. Most of the companies who claim to be SEO specialists in London, work on their own way irrespective of the vision and mission of the company for which they are working. To make a marketing campaign, that too online marketing campaign successful the marketing should be aligned with where the business owner wants to go and what his vision is. 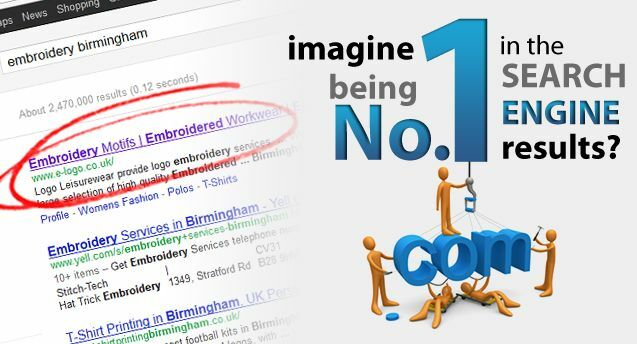 We get that and that’s why we are being called as SEO Expert of Birmingham by our customers. Our SEO Specialists in London have diverged experience in various industries and will be able to provide you with advice that will shape your marketing campaign and also the brand of your company online. Key Factors to take into consideration when choosing an SEO Consultant? Will they be able to break down the analytics with you? Will they be available whenever you want to discuss a particular campaign with them? Will they be confidential with the sensitive data of your company and not use it elsewhere? Will they be able to demonstrate professionalism than the itching to bill you first? Are they promising top position for any of the keywords without PPC? Are they familiar with link popularity? What is the status of their previous projects? If inactive why? What is the type of reporting they are ready to provide you? How often will they be able to tweak and adjust the campaigns if needed? The best practice would be to start asking them to give references of their previous works. References will most likely highlight the consultant’s success rate, work ethic, strategies and traits. Also you can ask for the keywords they brought to top of the search table. If they give you a five word not so familiar phrase then you get the idea of how capable they are and compare the keywords of your own business with it. Knowing their keyword strategy is also one of the important things because it will help you know what they are going to do with your keywords and how they are going to work on it in long term basis. Finally there is submission strategies and submission tracking, planning and budgeting. This is one of the important boosters that will help you boost your page rank. This can be done manually as well as automatically. Be also sure that the SEO consultant is a White hat SEO or Black Hat SEO, which will save your website as well as the brand name that you have built along the website. There will be lot of other factors that should be taken into consideration because an SEO consultant can make or break your company image in the online world. That’s why we always recommend you to go with the industry leader in the local market. Evolvenet has long been the SEO specialists in Birmingham. Please contact us to know how we can help you and advice you on your business.